PCN Europe: What are the most demanding needs within the Oil & Gas sector? How does WEG try to meet these needs? Mr. Baldeck: With oil price at the lowest in these last five years and the need to keep costs down, the oil and gas sector is increasingly looking for energy-efficient solutions, especially when it comes to choosing vital equipment such as electric motors. Widely used across oil and gas to drive equipment such as pump and compressor systems, motors are the largest individual source of energy use. Electric motor-driven systems (EMDS) account for 45% of the world's electricity consumption and demand up to 80% of the energy produced by a typical offshore platform main generation system. Thus motors can really make the difference when it comes to reducing energy consumption. 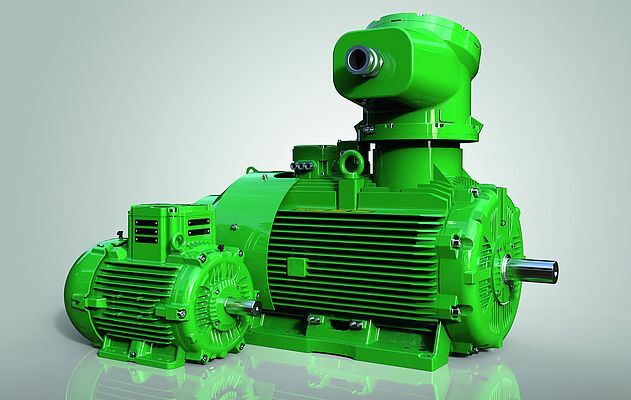 Additionally, oil and gas operators demand motors that meet health and safety certification requirements for equipment installed in hazardous areas, including European ATEX and International IECEx standards. For example, the ATEX Directive 94/9/EC stipulates that all motors used in upstream oil and gas applications need to be suitable for use in hazardous area defined as Zone 1 - Gases and Vapours (G), and Zone 21 - Gases, Vapours and Dust (GD). To meet all these needs, WEG has developed the broadest range of highly efficient ATEX/IECEx certified Super Premium Efficiency hazardous area motor. With rated power from 0.12 kW to 5.6 MW and frame sizes from IEC 71 to 800W22Xd, W22Xd motors are the most energy-efficient flameproof motors available on the market (exceeding IE4 energy efficiency standards). 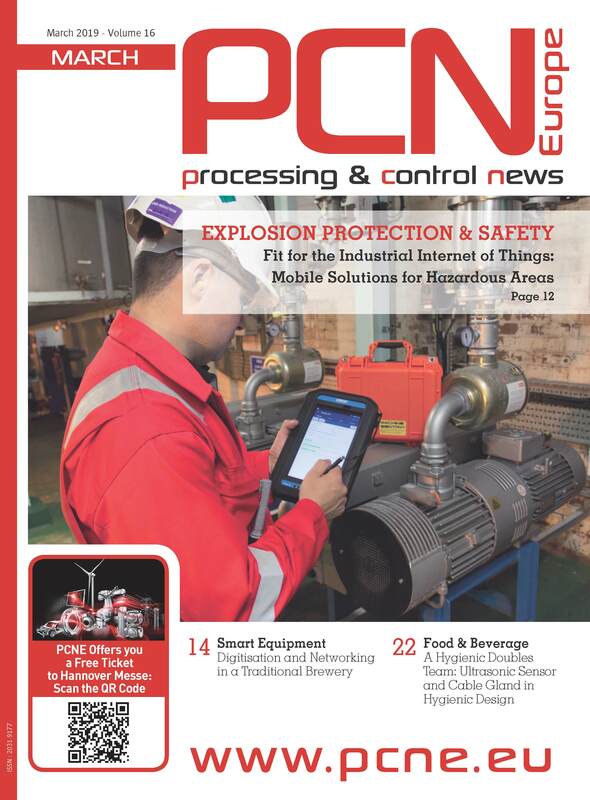 PCN Europe: Maintenance is the key for keeping a safe environment in oil & gas plants. Which solutions can help operators with maintenance activities the most? Mr. Baldeck: The latest motor control and protection technology can play a key role in making maintenance operations easier and more effective. For example, user friendly features such as built-in micro-PLCs can make the difference when it comes to monitoring key parameters and performance and thus protecting vital electric equipment. WEG's CFW500 variable speed drives (VSDs) feature a simple-to-use and intuitive LCD HMI which gives indication of up to three simultaneous variables, such as speed, as well as indication of the main units and performance statistics of the inverter. For safety-critical applications, WEG's CFW11 drives also feature numerous protection functions with fault and alarm indications in the variable speed drives, as well as EN ISO 13849-1 safe shutdown - Safe Torque Off (STO) Category 3/ PL d - as an optional module. WEG's SSW06 soft starters reduce starting torque in the powertrain by controlling the voltage delivered to the motor. The operator interface has a high visibility LED display while the keypad provides start, stop, and reset controls, as well as the programming interface. A copy function stores two sets of parameters and can be used to download parameters to other SSW06s for easy cloning of multiple starters. When it comes to maintenance, ensuring quick replacement operations is also key to bringing costly downtimes to a minimum. For example, leading provider of offshore drilling units, Paragon Offshore, recently needed to quickly replace the motors driving the three 110 metre long jackup legs of its B391 rig in the North Sea. 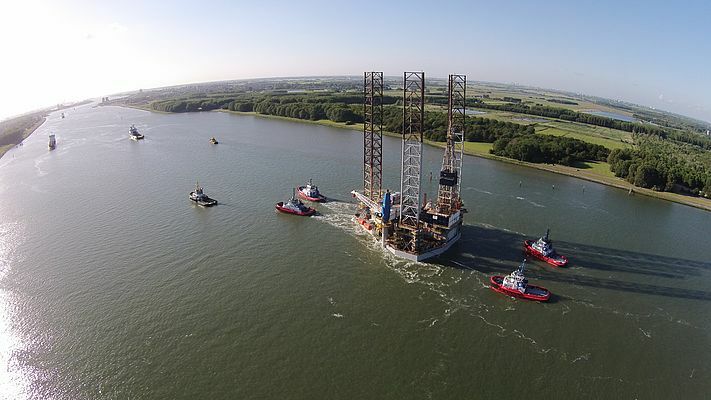 As the electrical equipment of the rig was mainly US-made and built to National Electrical Manufacturers' Association (NEMA) standards, Paragon needed the support of a global manufacturer with a stock of NEMA motors close to its European facility in the Netherlands. Thanks to its experience in developing solutions for oil and gas and marine applications worldwide, WEG was able to quickly supply Paragon with 58 identical W22 NEMA motors - 18 for each leg and four spare - with the exact same torque and performance characteristics. These motors were specifically designed to offer enhanced reliability and withstand the rig's load with no variations in current, thus ensuring a smooth jackup process. PCN Europe: Can you identify the main opportunities and hardest challenges this sector will deal with in the future? Mr. Baldeck: As I already mentioned, one key challenge / opportunity for the oil and gas sector is how to become more energy efficient - to cut down costs - and more competitive. With the need of limiting CO2 emissions and new environmental regulations coming into force in recent years, oil and gas businesses are becoming more aware of the importance of choosing energy-efficient motors. For example, in the EU, the 2005/32/EC Ecodesign Directive now stipulates that motors with a rated output of 7,5-375 kW shall not be less efficient than the IE3 or meet the IE2 efficiency and be equipped with a variable speed drive (VSD). Other countries, including the USA, Brazil and Mexico - to mention but a few - are also moving towards more demanding energy-efficiency regulations. While they are yet to affect motor equipment used in hazardous areas, these regulations are setting new international benchmarks in terms of energy efficiency, raising awareness of the significant difference that the latest motor technology can make in terms of energy consumption. As a result, growing numbers of oil and gas operators are starting to request the most energy efficient equipment available on the market, some which already exceed current regulations. Another key challenge for the oil and gas industry is having to face harsher environmental conditions. With the most easily accessed oil fields becoming exhausted, offshore operators are now moving towards new fields - often in deeper waters and under higher temperatures and pressures - where essential equipment such as electric motors are put to the test. For example, oil production in areas such as deep-sea fields off the Brazilian coast is especially demanding. This is because oil is not only located over 1,000 metres below sea level, but also covered by a salt layer up to 2,000 metres thick. To meet such challenges, WEG has specifically adapted its MGF 560 motors to drive triple-plunger high-pressure hydraulic pumps on Petrobras' P66 to P71 FPSOs operating in that region. The units are explosion-proof for Zone 2 (group IIA, thermal class T3) and designed for an ambient temperature range of -45 to +45°C. The starting current is limited to six times the rated current and, due to the aggressive ambient conditions, heat exchangers, fasteners and motor fans are made from stainless steel to provide enhanced corrosion resistance. Additionally, motor windings are protected against voltage surges by capacitors and integrated surge protectors. All these special features make these motors fully compliant with INMETRO certifications for use in explosion hazard areas and by BV Bureau Veritas for shipboard use. PCN Europe: Do you think that a shift in the international policies on environment could damage the Oil & Gas sector? Mr. Baldeck: I believe that a shift in the international environmental policies - resulting in more stringent energy efficiency regulations - could actually offer oil and gas companies an opportunity to become more efficient and competitive. It is a lesson that can be learnt from other industrial sectors which have already been affected by the current regulations. The need to comply with the latest environmental legislation has offered many businesses the opportunity to enhance energy efficiency and thus dramatically reduce energy consumptions and costs, becoming more competitive on the market. Bearing in mind that the typical electric motor lifecycle cost is 2.5% for acquisition, 1.5% for maintenance and a staggering 96% for power consumption, it is easy to understand how important it is to operate energy efficient electric motors. Investing in highly-efficient electric motors combined with variable speed drives can translate in operational savings as large as 20%. This means that the return of investment of replacing old-fashioned products with energy efficient ones can be a matter of months rather than years.